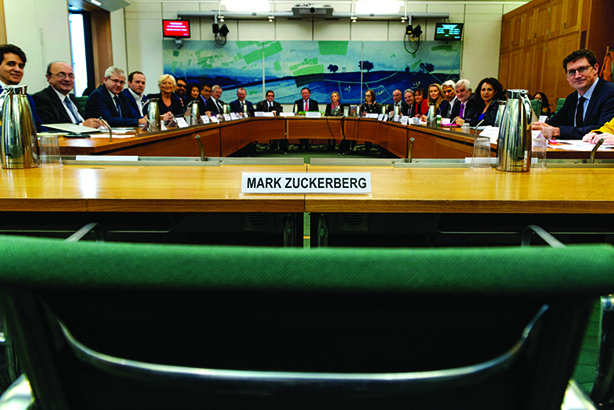 It's never a good sign when an organisation is constantly apologising or being hauled in front of committees to explain its behaviour - but that is the sort of year Facebook has had, careering from one PR crisis to the next. Reeling from the hugely embarrassing ad metrics screw ups and fake news scandals of 2017, a bombshell hit its reputation in March. Data analytics firm Cambridge Analytica had obtained the profiles and personal data of up to 90 million Facebook users, then used it to target voters in the 2016 US presidential elections on behalf of Donald Trump’s campaign. What makes the scandal worse, from a PR perspective, is that Facebook sat on the leaks for several years and then tried to sue The Guardian to prevent them from being made public. A focus on transparency – which Facebook preached to advertisers and the press in the wake of ‘metricsgate’ – was offered again, but seemed like empty spin when the organisation had tried so hard to stop the scandal erupting. The company’s image was further hammered when reports revealed the platform had been used to incite violence and spread hate speech against the persecuted Rohingya Muslims in Myanmar. Although Facebook does not endorse violence or hate speech, it had been made aware its platform was being used in this way for at least four years and failed to take decisive action. More recently, Facebook admitted it had employed a lobby firm, Definers, to investigate its opponents – in essence, adopting political tactics. And toward the end of the year leaked internal emails indicated that Facebook views personal user data as a commercial opportunity, even if its staff were aware of ethical concerns. Facebook’s stock value has nosedived in the past six months, but trust in the platform has plummeted even further. Denial and deflection, as The New York Times puts it, have proved to be terrible comms tactics. This is especially true for a company that preaches the democratisation of information, but relies on using smoke and mirrors when it comes to outsiders looking in. Facebook’s UK comms lead, Anouska Ruane, recently departed for Tesla. Her successor and Facebook’s other senior comms leaders – not least Nick Clegg, its new VP of global affairs and communications – have their work cut out.